For a unique experience combining treatments and wellness, try one of our spa packages. Choose from 3 different locations where comfort, quiet and relaxation reign. The entire line of services has been completely renovated, ranging from pure wellness to beauty and including numerous technological treatments such as cryotherapy and many others equipment: Men’s banya and hammam, women’s sentorium and hammam, ice fountain, cold baths, etc. The seawater pool overlooking the port of Monaco and a solarium and new jacuzzi on the terrace. 30 treatment rooms including 2 double rooms for half-day incentives. The restaurant L’Hirondelle, which offers a gourmet health food menu. Complimentary access for clients of the Hôtel Hermitage Monte-Carlo and the Hotel de Paris Monte-Carlo to the Wellness area: pool, cardio training room, fitness classes, banya, sentorium, hammam, solarium and jacuzzi. Private hire possible for a dinner or private cocktail (restaurant and/or terrace). Learn more about our group offers at Thermes Marins Monte-Carlo. 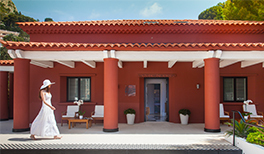 Its 900 m² devoted to well-being, with its nine cabins, two of which are double, plus its hammam and sauna. Its range of treatments based on age-old traditions, developed for well-being around the world, which combine effectiveness, authenticity and naturalness. 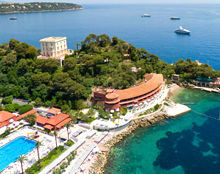 Its direct access from the Monte-Carlo Bay Hotel & Resort. Its expertise, offering you a unique sensory voyage. 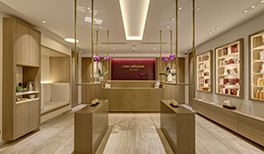 Learn more about the Cinq Mondes Spa. Its intimate ambiance in the spirit of Art Deco on the Riviera in the 1930s. Its wellness area with its three massage cabins, hammam and Olympic-sized swimming pool. The extraordinary quality of the treatments and programmes from La Prairie. 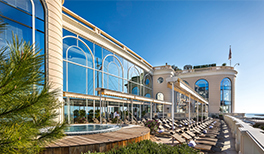 The perfect expression of expertise – “Les Thermes Marins de Monte-Carlo”. 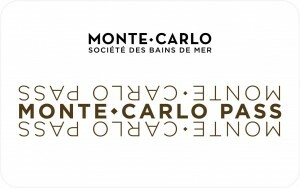 Learn more about the Monte-Carlo Beach Spa.